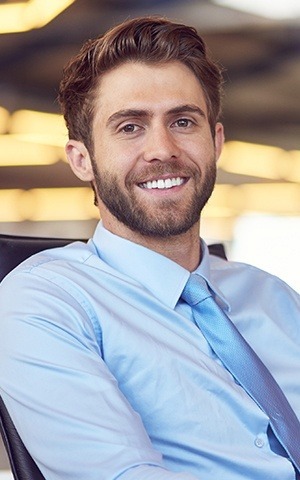 Our practice’s name literally has the word “advanced” in it, so you can bet that you’ll find some of the latest dental technology through our doors! In addition to being one of the few practices you can just text to schedule your appointments, we also utilize the latest tools every day to deliver the most efficient, comfortable, and effective care for our patients. If you’re ready to experience truly state-of-the-art dentistry, contact us today to schedule an appointment. Soft Tissue Laser: Fast & painless gum care...and much, much more! Our Schick intraoral camera will give you a whole new perspective on your dental health. Rather than just telling you about your teeth and gums, our team can now take high-definition images of them with this pen-sized device. We’ll display these images on a monitor right in the treatment room so you’ll always know exactly what your dentist is talking about. This instrument helps us take the mystery out of dental care and makes it easier for patients to understand their needs. Many dental problems show early signs below the surface of the teeth and gums, and to make sure we don’t miss them, we use X-rays every single day in our practice. In fact, we’ve invested in 100% digital X-rays because compared to traditional film radiography, there really is no comparison! 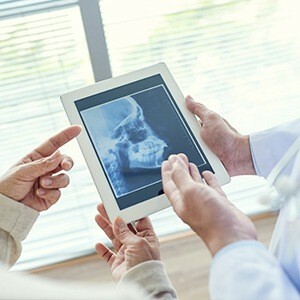 Digital X-rays are sharper, take less time to develop, and they emit 90% less radiation as well, giving many of our patients peace of mind. Have you ever had an impression taken with dental putty? If so, we bet it wasn’t exactly your favorite experience! Fortunately, we can now create highly accurate impressions just using a few noncontact scans of the mouth. 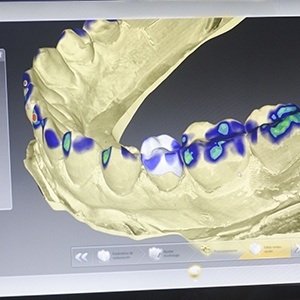 The process only takes a few minutes, and on a monitor next to your chair, you can watch as the scans are quickly pieced together to form a model of your bite that we can instantly use to design any treatment you need. 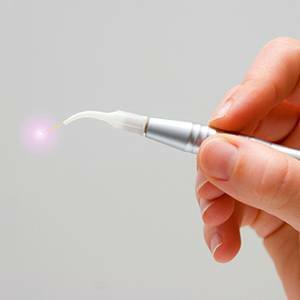 Laser dentistry has truly revolutionized the way our team is able to take care of patients. Now, using just a concentrated beam of light, we can treat gum disease, whiten the teeth, and even prepare a tooth for a crown with a device that emits almost no heat, sound, or vibration. The end result is that patients can easily remain comfortable during a laser treatment, often without local anesthesia. In the end, the most common thing we hear is “that’s it?” after we’ve finished a procedure!